Caring for any kind of animal is a job that calls for significant preparation and attention to detail. 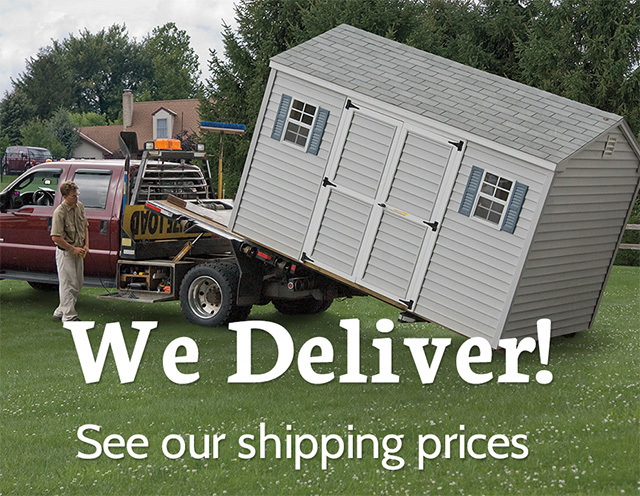 If you’re trying to find an outdoor doghouse or chicken coop for your backyard, we can assist you right here at Amish Backyard Structures in Oxford, Pennsylvania. We’re a proud local business that constructs bespoke shelters for animals. We even drop these shelters off to our customers. If you’re on the lookout for sturdy dog kennels, we can delight you with our individualized choices. We can do the same for those who are trying to find outstanding chicken coops. When you need an outdoor dog house that can withstand all sorts of environmental components, we can serve you well. When you need an insulated dog house that can keep your four-legged friend secure and cozy, we can fulfill your exact requests. Don’t let your quest for the ideal chicken coop get you down. All you have to do is reach out to our knowledgeable staff members. We create dog kennels that are accessible in a broad array of size classifications. You can actually choose between fourteen in total. Our most compact dog house options are six feet by 10 feet. Our biggest ones, on the other hand, are an impressive 10 by 20 feet. That’s how our shelters can suit canines of all size categories, breeds and age groups. If you want to get your hands on an insulated dog house that’s resilient, eye-catching and cozy, we can assist you at Amish Backyard Structures. Our chicken coops are just as worthy of praise. They are equipped with roofs that have venting, first and foremost. Other components that are part of our coops are roofs, gables, ramps, nesting boxes and a pair of slider windows. A door is accessible for people to employ. Another door is on hand for chicken use as well. The aim behind these doors is to encourage optimal convenience for animals and human beings alike. The designated ramp makes it a piece of cake for chickens to be able to get in and out of their shelters. If you’re trying to find animal shelters that can exceed all of your expectations and beyond, you’ll adore all of the options we have accessible to you at Amish Backyard Structures. Our shelters aim to give users ease that’s unrivaled. They aim to give users resilience that’s unequaled as well. If you want to buy a chicken coop that encapsulates incredible value, we certainly won’t fail you. We can enthusiastically answer all questions you have that involve our shelters for animals. We can give you accurate and updated details that relate to shelter materials, perks, construction methods and more. Contact the Amish Backyard Structures Team A.S.A.P. Amish Backyard Structures is a full-service business that makes acquiring top-tier chicken coops and dog houses simple for all customers. If you want to discover all of your finest options in shelters for animals, your wish is our command. Contact our team today for further details!